This group is led by Rachael and meets to discuss a variety of titles. Titles discussed in the past have included The Art of Racing in the Rain, Gone Girl, A Light Between Oceans, Life After Life, Water for Elephants, and Everything I Never Told You. 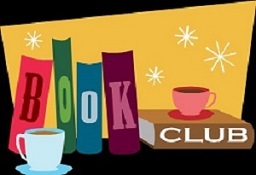 Please call the library at 764-8102 or check the calendar on our website to find out when the next meeting will be and what we will be reading. Registration is not required, and refreshments are served.